We are in San Antonio, the seat of one of the oldest regional cuisines in the U.S., to see if there is any remnant left of the Chili Queens. As our guide we have a copy of Robb Walsh’s The Tex Mex Cookbook, a history in recipes and photos. I trust Robb Walsh (three time winner of the James Beard Award, 10-year veteran as restaurant critic at the Houston Press, book writer and Texas BBQ guru) to give us the straight scoop. 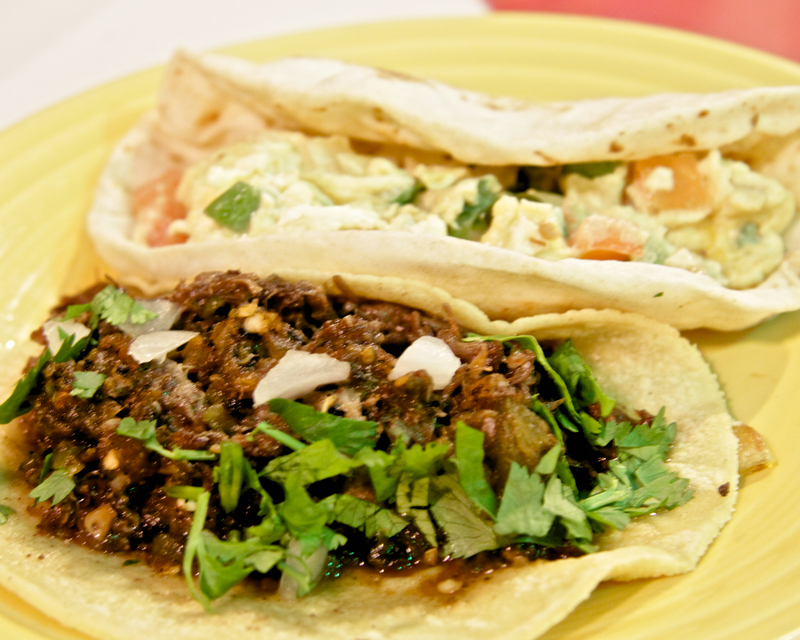 He makes the argument that Tex Mex is not Mexican but a cuisine of indigenous cooking techniques and ingredients of South Texas merged with those of 18th century Spanish settlers. Many dishes have been generally adopted (often miss-represented) throughout the U.S. but the first to be widely embraced was Chili con Carne. And that dish had been the domain of the Chili Queens of San Antonio since the early 1800’s. In March 1731, fifteen families from the Canary Islands (a Spanish possession off Africa) arrived in the struggling settlement of San Antonio. They came for a promise of land to a wilderness of Indian Missions and soldiers. They brought with them a taste for African spices (cumin, coriander, saffron, chile peppers, cinnamon…) and a style of open fire cooking in copper or clay pots. Walsh speculates that this might be where San Antonio’s outdoor chili stand tradition began. Red chile-based sauce simmered with meat was served in the evenings from planks set up like impromptu cafes in plazas. 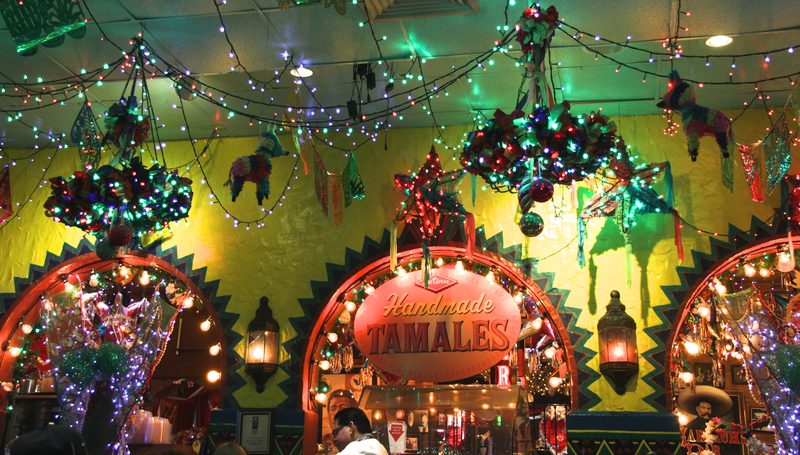 The Chili Queens made enchiladas, tamales and other dishes but Chili con Carne burst onto the national food scene when a San Antonio chili stand was set up at the Chicago World’s Fair in 1893. “Chili con carne was being canned in Oklahoma and Saint Louis by 1910” Walsh says. During the Great Depression the WPA hired writers to chronicle American life in pamphlets. An excerpt titled Mexican Quarter Chili Stands says you haven’t seen San Antonio until you visit the nighttime chili stands. The smell of burning mesquite and spices, chiles and tortillas greets you like a scene from Old Mexico of strolling guitarists and families dressed in their starched best. It was also during the depression that, in the name of progress, the city council abolished the outdoor stands. We spoke to a dozen natives of San Antonio and not one had heard of the Chili Queens. 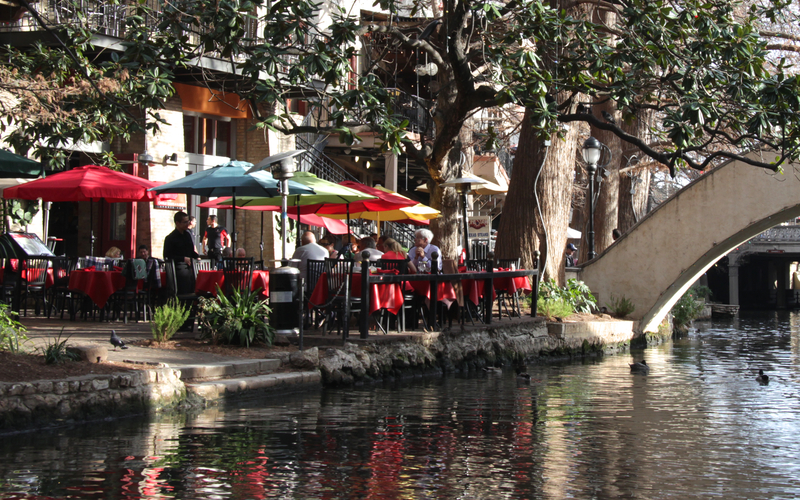 Even so, on any given night, you can find their legacy in San Antonio’s famous River Walk. The river sparkles with the reflected lights of dozens of restaurants and drinking places. Music spills out onto the walkways. The oldest restaurant to open its doors on the river, Casa Rio (opened 1946), still serves beneath bright umbrellas and lights. The chili queens are regarded as the forerunners who inspired locally made products Gebhardt Chili Powder, Fritos and Pace Picante Salsa. In 1977 The Texas Legislature proclaimed chili con carne as the state dish. For one style chili con carne, chopped onions and diced sirloin strip are browned then simmered in a chile puree. Walsh suggests always using ancho chilies together with at least one other chile for a well-rounded flavor. Soak 6-8 seeded and stemmed dried red chiles in hot water to soften (1 hour). Process with 5 toasted garlic cloves, salt and 3 cups water to smooth. Strain well. Heat a skillet with 2 tablespoons oil or fresh lard and add the puree. Simmer 5 minutes. Add a pinch of sugar if needed to balance any bitterness. This sauce has many uses such as for enchiladas. Walsh gives an interesting recipe for Tangia, and lamb stew in the Berber style that is probably similar to what the Canary Islanders brought to San Antonio in the late 1700’s. Toss ½-inch dice of leg of lamb with cumin, garlic, paprika, ground black pepper, turmeric and powdered ginger and salt. Lay peeled onion quarters in a baking dish, add just enough beef broth to cover the onions. Place the lamb on top. Bake until very tender, 2 ½ -3 hours. Extraordinary cocktails including 15 on tap: The Last Word, 229 E. Houston Street (downstairs below street level) in the downtown area. This is making me hungry! Great article and lovely pictures Karen.